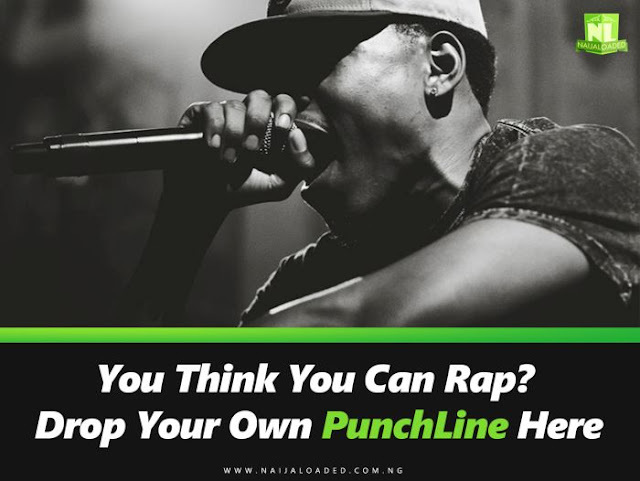 So let’s all of us showcase our talents, we should all think like a rapper and come about a killing punchline. Who knows if one A list rapper will come and steal your lines and use in their song later. For sure we all will fight for you . Oya let’s kill this spiritual beat with dope punchlines, permit me to start first.